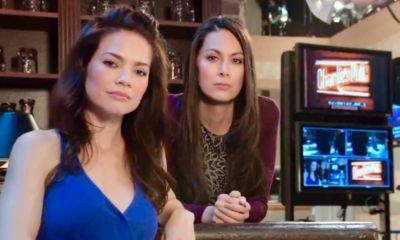 A sad day in soapland. 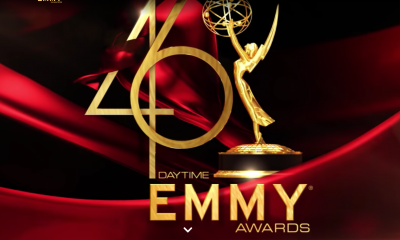 Reports began to surface on Tuesday following the release of an obitituary in the Wilton Bulletin that five-time Daytime Emmy winning actor David Canary passed away of natural causes on November 16, 2015, at The Greens at Cannondale in Wilton, Connecticut. Daytime fans, of course, recall Canary’s accomplished and powerful performances as twins Adam and Stuart Chandler on ABC’s beloved and iconic All My Children. Canary first appeared on All My Children as Adam in 1983 and received five outstanding actor Daytime Emmy Awards and 16 nominations through 2001. He retired from acting in 2010, but returned to play the Chandler brothers for several days before the show’s emotional September 2011 finale. It was an incredible run and Canary left an indellible mark in his almost 27 years with the daytime soap opera. Canary was also best known in primetime for his role as Candy on Bonzanza which he played until 1972. In the soaps, David went to play Steven Frame on Another World and also appeared throughout his career in roles on:The Doctors, Peyton Place, and Search For Tomorrow. Survivors include his wife of more than 33 years, Maureen; children Christopher and Kathryn; brother John; and grandson Donovan. Funeral services will be private for immediate family. A memorial tribute is planned for a date to be determined. In lieu of flowers, the family asks that donations be made to the Alzheimer’s Association’s David Canary Memorial Fund. 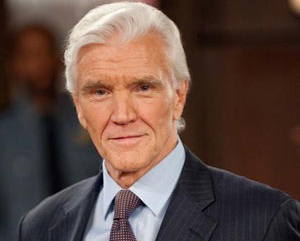 Share your thoughts and remembrances on the passing of this All My Children legend David Canary in the comment section below! 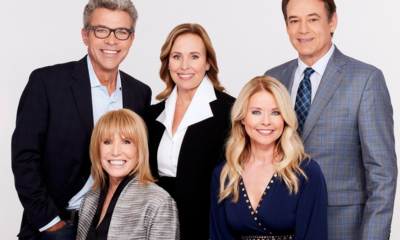 Y&R Fan Favorite Daniel Goddard To Undergo Emergency Surgery Today! What a wonderful actor/man acting to him was like breathing it was effortless RIP Mr. Canary you earned it! We sometimes forget that David Canary was only about 44 years old when he first appeared on AMC. As often is the case with these silver haired foxes, we are fooled by their prematurely white hair. The same can be said of John Slattery who played Roger on Mad Men. He actually isn’t much older than Jon Hamms (Don Draper). Canary was a genius–a true gifted actor who lit up the room with his crackling energy just from entering it. The fact that he could play the over achieving, triple A, control freak of a business man named Adam Chandler while simultaneously playing Adam’s gentle, artistic brother Stuart speaks volumes about his acting prowess. Adam and Stuart were polarized opposites, One really believed that Stuart and Adam were two different people and we oft forgot that these two distinctly different characters were being played by one man. Here’s how good David Canary was–Michael E Knight (Tadd Martin) said that Canary was so good, so subtle, that one could just almost barely tell when Adam was impersonating Stuart. His affectations were subtle but distinguishable by the observant and appreciative viewer. I have been missing David Canary since AMC was canceled and miss him all the more knowing he has passed. Thank you for all that you’ve given us, David Canary. Yes, I am afraid I am crying a bit about it–I grew up watching this man. Oh Harry you and I agree on so much as an older viewer we have seen the best this new group of actors have a lot to learn DC never made it about him one year he won the Best Actor award he grabbed Susan Lucci lifted her up and swung her around I will never forget it a generous soul he always made it about the show it was never about him. I had always hoped I would see him again on a show as a person who is going thru a family member with Alzheimers which I am under the assumption he had I feel what the family is feeling. I had mentioned this under a different subject…another great loss in the entertainment industry! I am so sorry to get this news. He was a wonderfully talented actor. In addition to All My Children, I fondly remember his performances in Bonanza and Peyton Place. Thank you David Canary for sharing your incredible talent with all of us fans. God bless you always. Rest in Peace. Adam Chandler you brightened my days for 26 years. So sad you had to go. May God bless you like you blessed me . Condolences to his family and friends. I am sure he touched many lives with his flawless performances throughout his long career. R.I.P. Mr. Canary. My condolences to his family and friends. He was a humble, gentle soul, more like Stuart than Adam in many ways. I was gutted to learn of his passing. My prayers are with his family and all the people who were lucky enough to work alongside him. His grace and talent and acting was masterful. 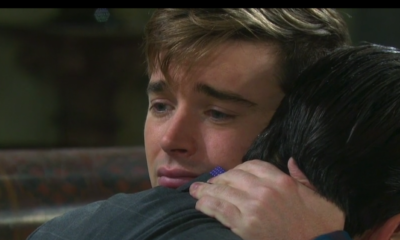 There are few roles in Soaps, a handful, 5 that have been embrassed by fans and actors,that are irreplaceable, his portrayal if Adsm/Stuart Chandler is among them that define true acting genius.He was such an actor and this was such a role. We will cherish his legacy and be ever grateful for his family for giving us such a talented man . may the angel sing and greet him in his new home, may his family be blessed and comforted in their loss for such a wonderful father, son, husband. What a beautiful tribute you wrote. Heartfelt ans smart, I thank you for posting it. That he kept those roles in tandem for so many years was miraculous! Very sad news, he will be missed. Thanks for the many years of entertainment on AMC!!! how sad, truly one of the best actors around, rest in peace Mr. Canary. This is indeed sad news. Mr. Canary was a joy to watch on AMC. And he must have been a wonderful man with whom to work and to be friends. The tributes are heartfelt and genuine. They do not make actors that that anymore! He was masterclass in acting and raised the bar of the soap genre. Thank you for sharing your gift with us, Mr. Canary! I hope his last years were peaceful. He was the absolute best actor on daytime. Thank you David Canary for being a great actor in a great soap that brought so much fun to my life for so many years. You will be missed. I always hoped I would see you again one day. I really enjoyed him on AMC, especially as Stuart. He seemed like a very nice man and loving spirit. I liked seeing the pics of him on AMC and Bonanza. I thought it was really impressive that he was trending on Twitter worldwide for at least 4 hours, and even got as high as #6! This breaks my heart. I loved and could not wait to see AMC to see this wonderful actor. My mom and myself loved him…well Mr. Canary if you run into my mom she will be ecstatic to meet you…RIP…miss you terribly!!! He was excellent as both Adam and Stewart. He even took part in the short-lived Prospect Park reboot of the show, although he wasn’t on it very often. He was one of those actors who “owned” a role. I couldn’t see anyone else playing Adam Chandler, not only because Mr. Canary played the part for so long, but because he created an indelible impression while doing so. I watched ALL MY CHILDREN for more years than I care to admit to – this man was truly a gifted actor. R.I.P. and thank you for all the wonderful memories. My parents and I used to watch David on “Bonanza” when it originally aired, and then I found him on “AMC” and continued to be enchanted by his performances over the years. There wasn’t any emotion he wasn’t capable of doing extremely well, and he deserved all of his Emmy nominations and statues. I agree 100% with what Harry has already stated so beautifully about David’s contribution to the TV medium, and AMC in particular. His star will now shine in the heavens. I’m wondering what Robin Christopher has to say about David’s passing. I always loved the two of them as father and daughter and was highly disappointed when Adam turned out not to be her bio father in order to facilitate her move to Port Charles.